falling through the ice: yow! crash! (crack, crackle) help! holy smoke! Headed out this week for some pond hockey, a little lake puck? Know that if you’re centrally situated in North America and it’s big wide-open shinny settings you’re after, looks like Lake Erie is your best bet. As of Sunday, some 90 per cent of everybody’s favourite fourth-largest Great Lake was locked up in ice, according to analysis by the Great Lakes Environmental Research Laboratory. Throw in Superior, Michigan, Huron, and Ontario, and out superlative lakes are, overall, 29.5 per cent frozen. That’s way up from last year at this time, when the number was 11 per cent. I’m not saying you should. Head out on a Great Lake, I mean. Safer to skate at the park, or on someone’s backyard rink. In Toronto, where the harbour is frozen over for the first time in years, the message from police regarding natural ice is the plain and perennial one: no ice is safe ice. 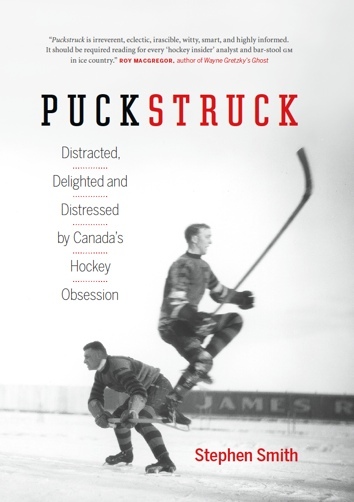 History and hockey literature have lots to say about this — lots and lots. Picture books, too, and horror movies, and archives. 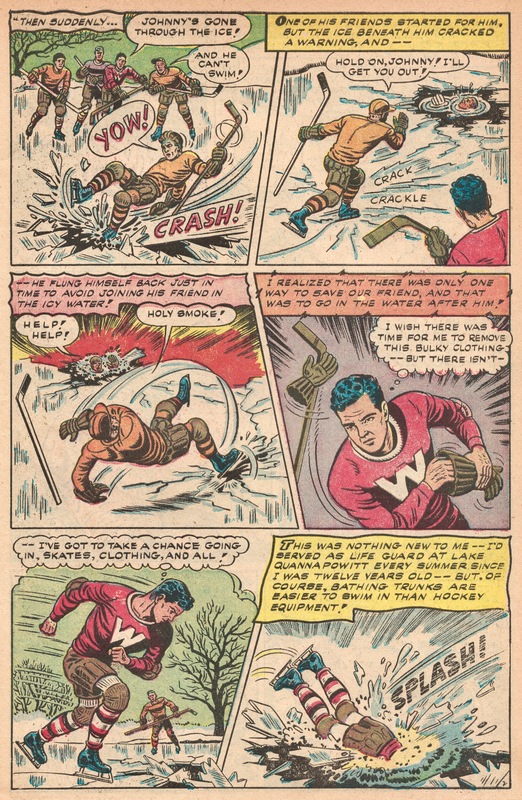 There’s also a rich library of comic books to instruct us in the hazards inherent in taking the good old hockey game out on the bad old treacherous ice. 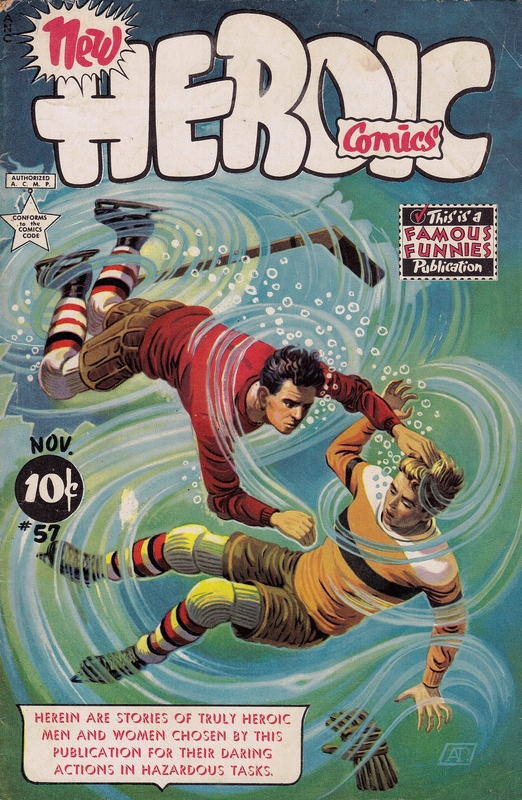 Today’s exemplar is a 1949 edition of New Heroic Comics, a dead-serious venture from your friends at Famous Funnies Inc. For such a bright and colourful publication, it’s actually a terrifying piece of work. The through-the-ice story is just the start of a harrowing 48-page handbook of true-life havoc and misfortune featuring accounts of runaway horses (“Hooves of Horror”), men overboard (“Soldier Rescues Sailor”), riptides (“Riptide”), flash floods (“Canyon Rescue”), and high-rise calamity (“Elevator Firetrap”).